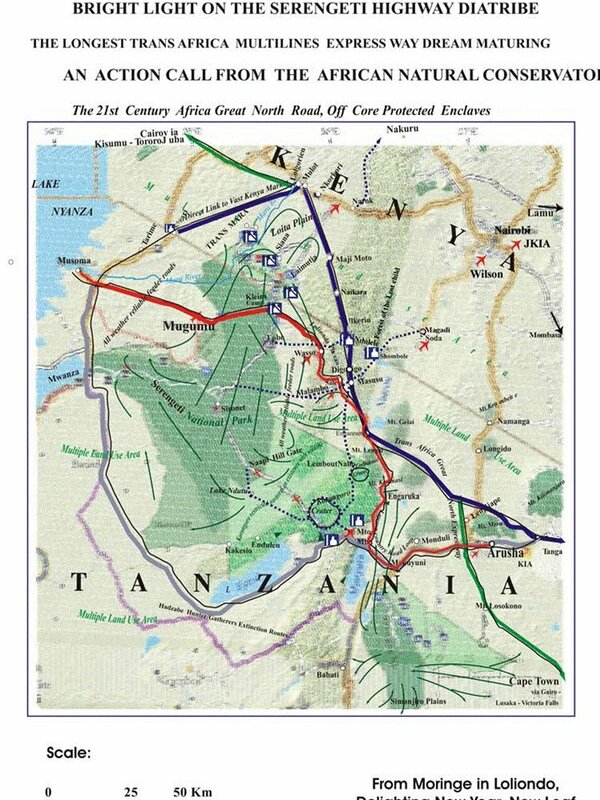 On 09 April 2011, a watershed NGO-CBO meeting was held in Dar es Salaam, centred on the Tanzanian government’s plans to construct a regional commercial road passing right through the iconic and pristine Serengeti National Park. It was organized by Haki Ardhi, a national NGO in Tanzania that is focused on land rights, natural resource management and social justice issues for indigenous people. Amongst a number of non-member attendees were several people from NDUSA, the Ngorongoro District University Students Association, since they have been discussing this road development extensively with regional stakeholders. The guest-of-honour was the illustrious Prof. Moringe Parkipuny, Ngorongoro’s first MP, who was “born in the Mt. Lengai Volcano shade in 1948 and raised tending sheep in the ungulates twin migration midst“. As a rights struggle activist for decades, Prof. Parkipuny has been both a leading light in the rights of indigenous people, especially his own Maasai, and the conservation of wildlife and natural resources in the region. His voice is almost without peer and, thus, is of paramount importance in any and all discussions regarding commercial road development in the greater Serengeti debate. I don’t have a detailed summary report of the meeting, except for a few very brief points he jotted down as the intro to his presentation, plus a graphic of the proposed route alternative that has been part of Prof. Parkipuny’s vision for almost 2 decades. As soon as I have more detailed notes from attendees – hopefully in a few days time – I will post it on my Facebook group page – http://www.facebook.com/SaveSerengeti. What is widely unknown is that in 2010, due to his passionate belief that proper regional road infrastructure is sorely needed, BUT “off the twin ungulate migration routes”, Prof. Parkipuny undertook a lengthy “hitch-hike” from Arusha to Tororo in Uganda, passing Lake Natron and into Kenya, to Kisumu. He believes this will break the “stalemate” on the Serengeti road debate and he makes a “call for action” for all “African natural conservators” to unite behind his thinking. When referring to those proposing an alternative route linking Arusha with Musoma via road networks south of the parks, he terms this the “Southern Route mirage”. Explaining this, he states that “…the existing tarmac segment, the old Arusha- Makuyuni and new stretch to Mto wa Mbu, 80km and 50 km respectively, both need actual reconstruction rather than the current potholes sealing. Moreover, the Tanzania government is on schedule to complete this year construction of the Makuyuni- Singida tarmac trunk road. 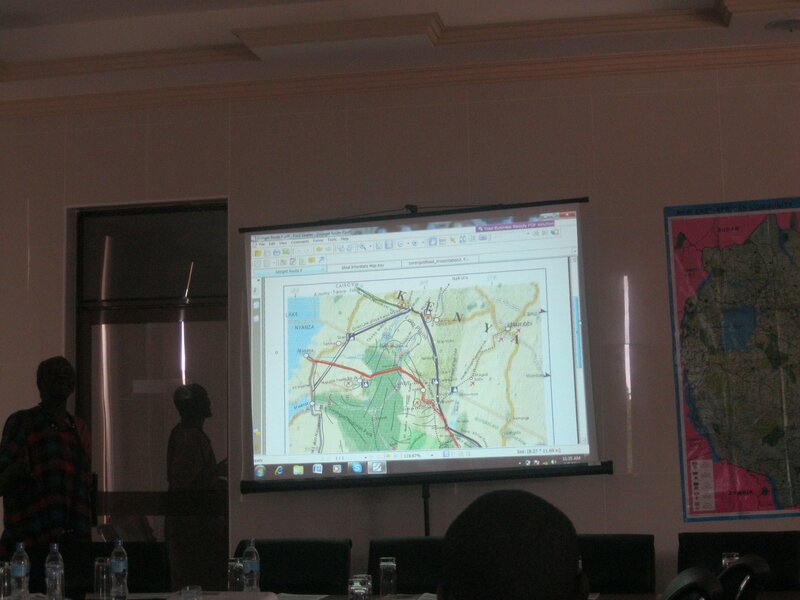 Besides,since Musoma has all tarmac link, via Mwanza, to both the Central line and Singida eastward route…”. In his clarion call for “conservator” and social justice action, the professor writes that he is “now determined to catalyze [a] “Stop the Resources Squandering War Drums on Siringet” campaign. Given his tireless crusade for African indigenous peoples’ rights and the fact that he believes he is a “niche scholar” when it comes to “pastoral, harmonious co-existence with wildlife”, one can readily understand why he is deeply offended when Maasai (and other regional peoples’) rights are completely ignored in the “real debate”. As a complete layman in the greater Serengeti debate over its future security, and to try to understand all the complex issues a little better, I have probably read 30-40 papers dealing with human-animal conflict, mainly related to this region and many written by significant authorities in their spheres. “Despite dramatic transformations in conservation rhetoric regarding local people, indigenous rights, and community-oriented approaches, conservation in many places in Tanzania today continues to infringe on human rights. This happens through the exclusion of local people as knowledgeable active participants in management, policy formation, and decision-making processes in land that ‘belongs’ to them and on which their livelihoods depend”. “The coercive, top-down approach to managing protected areas has created socio-cultural disruption and often even failed to conserve biodiversity. This top-down conservation approach has led to management decisions seriously threatening the livelihood and cultural heritage of local people, such as the resettlement programme established to move people from villages inside the park, and the reduction of access to resources and traditional rights”. Interestingly, Goldman also refers to “top-down” approaches that can be considered “coercive” in matters of human rights and environmental rights, as do many other authors and researchers I’ve read. When one considers that Prof. Parkipuny was born in a colonial era of human rights deprivation, when his family and his communities’ collective land rights and pastoralist culture and lifestyle was completely turned upside down by western-enforced land settlements during the creation of the Serengeti National Park, then it becomes patently clear ANY and ALL debate on this road development must have lead-inclusion of the Maasai, specifically. Given the plethora of online publishing of commentary on the Serengeti and the government’s proposal for commercial road development, coupled with new-age, social network, crowd sourcing (which I fully understand), it is even more tragic that world-renowned pastoralists such as the Maasai are further marginalized by modern human development in this media space, because, in this platform, they have no current, real voice whatsoever in terms of their own rights and future security. And Goldman correctly calls for “knowledgeable active participants”? Considering Prof. Parkipuny’s proud history of community and environmental protection service, as well as his exceptional insight into all related matters, I can readily understand how he can confidently state that his speaking out on this “real debate, at long last” is one of a “…serious response to the global ultra populist fund raising propaganda (info@savetheserengeti.org) mission, with however no relevance to securing the integrity of the Great Serengeti Ecosystem but serving the narrow interests of the Frankfurt empire at Sironet savanna springs”. When I think of the Tanzanian government’s “top-down, coercive” approach and I review all the related international campaigns by various stakeholder parties acting similarly, I don’t see the necessary participatory role of affected peoples that Goldman insists is critical to solution building. I am becoming increasingly vocal that there can be no solution to the future security of our beloved Serengeti without placing the Maasai and other affected people at the epicentre of a full, consultative forum. A multitude of rights abuses need to be remedied. Urgently. Having engaged many of those affected people over many months – and the overwhelming majority of them speak in similar tones – I think it is well-overdue to “listen” very carefully to serious leaders, such as Moringe Parkipuny. Dare I opine that we’re faced with “Pastoralist vs. Populist thinking”? As to the optimal solution for socio-economic development outside the park, I defer completely to Prof. Parkipuny and his wider community, especially since he describes himself as a man who has a “pastoral Maasai worldview, inculcated [with] respect to Mother Earth”. 101%, especially given that you’re far, far closer to Mama Afrika’s natural earth treasures than I and countless others will ever be! So, Prof, how can people like me serve your vision and community needs better to avert this looming tragedy of nature?